If one is truly pro-choice and wishes to support women making any pregnancy decision, then Planned Parenthood is only meeting part of the need. Abortion. It's hard to find a topic that is as hotly debated in modern politics. Pro-life people arguing that every unborn child is a life worth protecting, pro-choice activists arguing that some unborn lives aren't lives at all or are lives worth sacrificing. 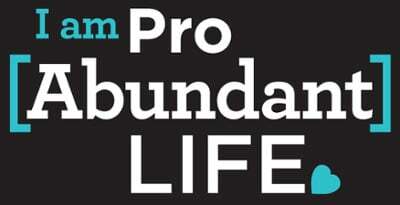 Why then should a pro-choice person support pregnancy centers like the 1,100 in Care Net's affiliated network? 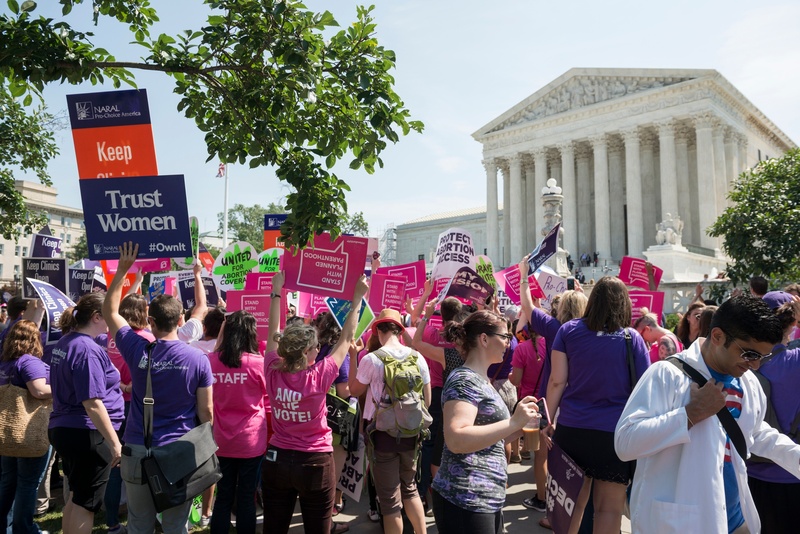 NARAL, Planned Parenthood, and other abortion advocacy groups have said for years that pregnancy centers deceive clients, use high-pressure tactics to dissuade women from abortion, and bully them with Bible verses. Who could forget Samantha Bee’s opening segment where she parodied pregnancy centers and likened them to con artists. A pro-choice person supporting a pregnancy center may seem about as natural as PETA (People for the Ethical Treatment of Animals) supporting a steakhouse, but there are three key reasons why pregnancy centers support the freedom and choice of women and deserve the support of pro-choice individuals. They enable a woman to have the freedom to make an informed choice about her pregnancy. Pregnancy centers like those affiliated with Care Net offer these services free of charge and most importantly, free from judgment regardless of one’s sexual orientation, religion, age, or circumstances. Many of the 30,000 volunteers and staff at Care Net’s affiliated pregnancy centers had abortions themselves and wish to empower women facing similar circumstances. In addition to material support, pregnancy centers also help women find freedom from abusive situations. Many women who are sexually trafficked find themselves being forced into abortion by their pimps. A recent study by the Senior Advisor to the US State Department on Trafficking found that a full 55% of trafficked women have had abortions, many of them forced abortions. Pregnancy centers like Care Net’s have training in place to identify victims of trafficking so they can alert the appropriate authorities. By comparison, there are currently more than sixty criminal cases of sexual abuse and trafficking where victims were coerced into abortions and abortion providers failed to take the necessary steps to ensure their patients’ safety. Pregnancy Centers provide accurate, up-to-date medical information about pregnancy options. As a comedian, Samantha Bee’s depiction of the medical services of pregnancy centers represents comedic fiction, not reality. Whenever pregnancy centers offer medical services, such as ultrasounds, they function under the authority and direction of a licensed physician who is in good standing with the physician’s state licensing board. They only utilize trained and licensed medical professionals to perform medical procedures, and they use up-to-date materials describing the health effects of a woman’s pregnancy options. Carrying a child to term and abortion both carry risks and women deserve to know these risks when making their decisions. Abortion providers like Planned Parenthood do not provide many resources for pregnant women who do not choose abortion. According to the latest annual report from America’s largest abortion provider, Planned Parenthood, performed 321,384 abortions but only 3,889 adoption referrals. That means they performed 82 abortions for every adoption they referred. They only provided prenatal support to 7,762 clients last year. Now if a person is pro-abortion, then there is obviously ample reason to support Planned Parenthood. However, if one is truly pro-choice and wishes to support women making any pregnancy decision, then Planned Parenthood is only meeting part of the need. Women who choose abortion are certainly getting the services they need at Planned Parenthood. But what about those who choose to keep their child or place it for adoption? Is it logical to assume that there are 41 times as many women in need of abortion as there are in need of prenatal services? Especially in the low-income areas where one often finds Planned Parenthood? What material resources, counseling, parenting classes, and life support will they receive at the nation’s largest abortion provider? When looking at their annual report, the answer becomes clear: not much. This is where pregnancy centers like those in Care Net’s network come in. For women who want to keep their children, pregnancy centers provide them with what they need to make their choice a reality. Pregnancy centers are not a threat to choice, but are a threat to abortion. More than 80% of women who receive the compassionate help and care of a Care Net affiliated pregnancy center choose life. Rather than feeling like the woman in Samantha Bee’s parody, more than 97% of clients surveyed leave Care Net centers satisfied with their experience. That is a satisfaction rating higher than that of either Netflix or the iPhone. So unless one is simply pro-abortion, there is ample reason to support the work of the more than 3,000 pregnancy centers nationwide. Indeed, without pregnancy centers, women would only receive the resources and help needed to make one choice: abortion.